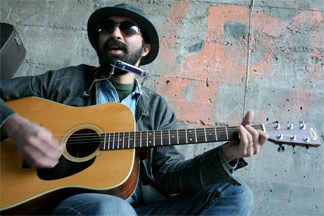 Abdi Behravanfar is an Iranian Singer, guitar player and singer-songwriter. He plays harmonica in country blues style. He is a member of MUD band in Mashhad and had a collaboration for many years with Mohsen Namjoo. آخرین کارش هم،تازه به بازار عرضه شده.